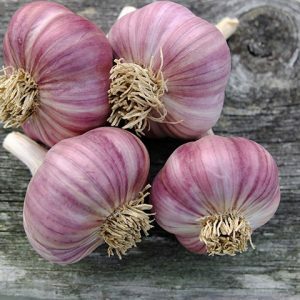 (Strong) – Large bulbs, easy to peel with 8 brown cloves. 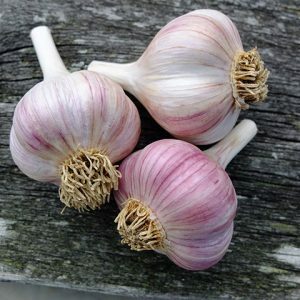 Very winter hardy. 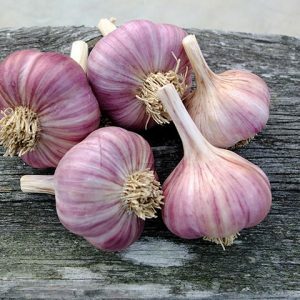 It is one of our best producers. 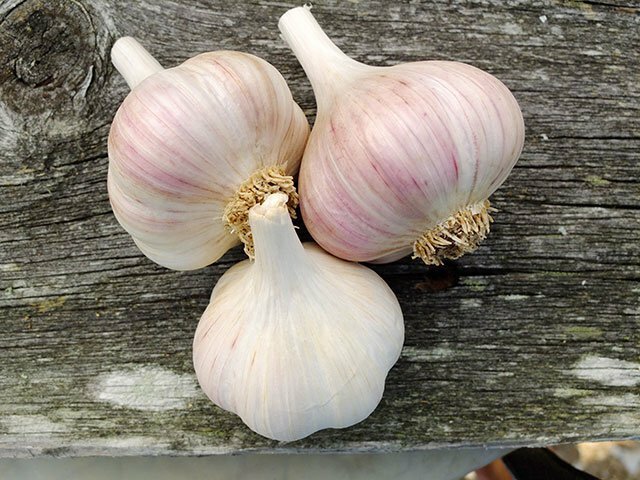 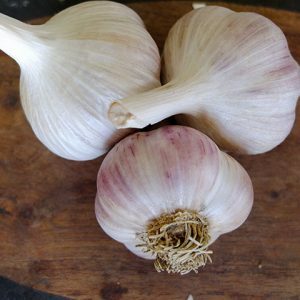 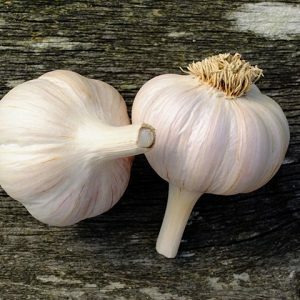 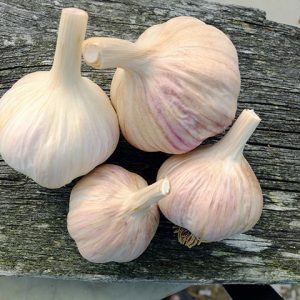 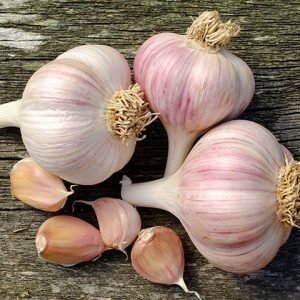 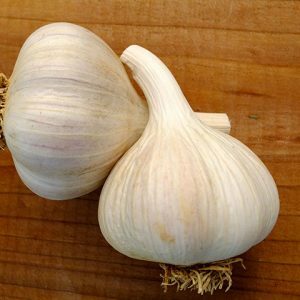 (Strong) – True garlic in all ways garlickiness, pungency, heat and bite. The depth of flavour is remarkable, with a deep earthy muskiness. 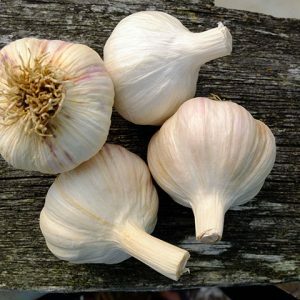 One of our favorites for stews, spaghetti sauces and chilis!